Just because you have the aluminum bleachers you need to safely seat your fans, guests or special events attendees doesn’t mean your installation is ready to go. Sometimes you need accessories for your outdoor bleachers, indoor seating and more. At SightlinesBleachers.com, we’re here to make sure you have the accessories you need to make setup a snap. AluminiumBleachersDirect.com is a Kentucky-based company with more than 30 years experience in the aluminum bleachers industry. We are known throughout the country for delivering the very best in bleachers, aluminum benches, aluminum picnic tables and much more. Our mission is to help our customers create the most comfortable and safest viewing areas for less. It doesn’t matter whether a customer just needs a table or two for a park or has a need to fill an entire stadium with aluminum bleachers, we’re here to deliver the very best. 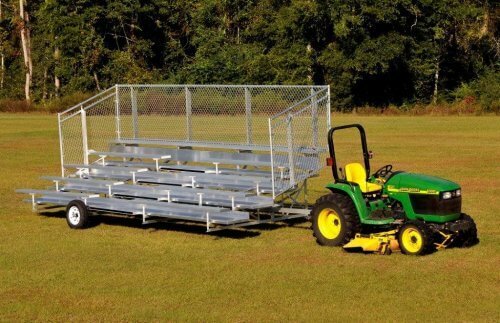 Bleacher transport kits – Portable bleachers are a great idea in a wide variety of circumstances. When you don’t always need bleachers in place or you’d prefer to be able to change their location based on the event on tap, they just make good sound sense. Making sure you can transport portable designs, however, does call for some specialized equipment. We offer several designs to get the job done, making portable aluminum bleachers easier to move. Non-marring pads – When outdoor bleachers won’t do, our indoor designs are sure to fit the bill. The only problem with setting up indoor bleachers, however, is the fact they can damage delicate floors. 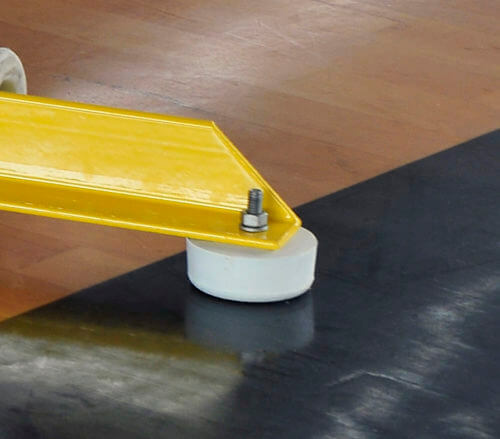 If you need bleachers for a hardwood gym floor, for example, anti-marring pads are a must. At SightlinesBleachers.com, we offer a variety of designs for moveable and indoor bleachers. 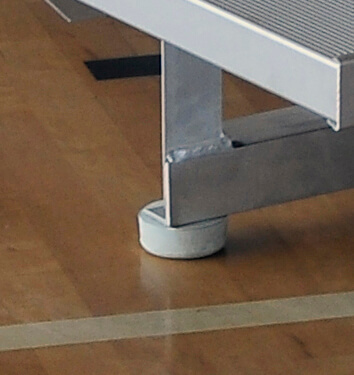 These pads can protect floors while ensuring that bleachers are available for spectator use. When you shop SightlinesBleachers.com for your aluminum bleachers, aluminum picnic tables and accessories you can count on the best service in the industry. Since our inception we have been delivering our customers only the finest products at the most competitive prices. We are committed to helping clients find the right products to meet their event management needs. It doesn’t matter whether you’re representing a small scale project or you have needs for an entire stadium full of equipment, you’re our top priority. Since our products are IBC Code compliant, you can rest assured of quality and safety. If you’re in need of accessories to go with your aluminum bleachers, we’re here to serve. Just shop our inventory for the products you require. Once you find the accessories you need, just order online for fast delivery to your location. If you have any questions about us, our products or just want to order over the phone, call us at 1-800-609-1545. We’re always pleased to hear from our customers directly!